In the days before the internet, a salesperson was more of a ‘walking brochure’, demonstrating the qualities of the product and acting as a useful source of information. Nowadays, however, if someone is interested in a product or service, the first thing they’ll do is look online to find out as much as they can. This means that your primary challenge as a salesperson in the 21st century is to provide information that the customer doesn’t already know, no mean feat. What can I do to create new sales opportunities? Turning a tough sales environment into a sales opportunity is doable with the right mindset. Whilst a lot of the sales challenges we face are ubiquitous, every salesperson will struggle with different problems in different ways. On one piece of paper, write down the 3-5 main roadblocks and barriers you face when trying to hit your sales target. On a different piece of plain paper, draw three circles – one big one, one medium one and one small, inside each other. 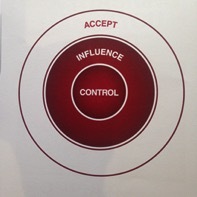 In the innermost circle write ‘Control’, ‘Influence’ in the middle circle, and ‘Accept’ in the outermost one (see diagram). Then devise a proactive plan to work on those aspects that you can control or influence, and then (and you may find this a radical concept) show acceptance of things you can’t. In the final analysis, all we can ever do is our best, depending on the set of circumstances that are presented to us. To create a positive working environment, take a few minutes every day to reflect on Control, Influence and Accept (what we call CIA) and check that your emotions are not being hijacked by the things you need to simply accept. Once you’ve accepted things you can’t control, you’ll have more time to refocus your energy on things that you can. In effect, this means spending your time, effort and mental acuity on more profitable activities that are much more likely to result in sales success, achieving sales targets and maximising performance. Helping sales teams manage in tough environments, sales-mind training courses can help you achieve sales targets with focus, resilience, motivation and empathy. 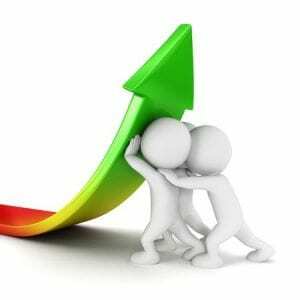 If you would like to discuss how we can help improve your sales performance, please contact us for more information.